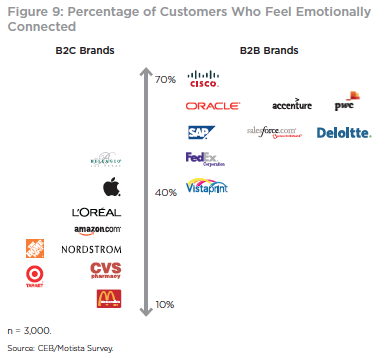 But, what most B2B marketers are failing to understand is that building personal emotional connections to their audience holds more weight in the decision making and purchasing process than you would ever believe. Emotion plays a larger factor indecision making than reason and logic in most cases. As these case studies and a recent study by Google and CEB Marketing prove, the buying cycle is anything but deviod of emotion. Below you will find the top 10 insights, plucked from the aforementioned Google study, that every B2B marketer should be aware of when crafting their next and all future marketing campaigns. 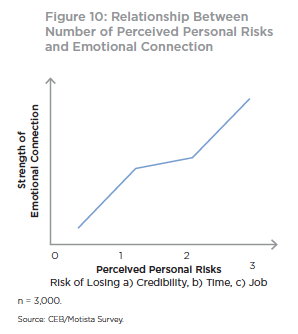 The definition of personal value includes emotional appeals in areas such as professional benefits (e.g., being a better leader, simplifying my life), social benefits (e.g., fitting in with colleagues, admiration from others), emotional benefits (e.g., confidence, excitement, happiness),and self-image benefits (e.g., doing good for society, feeling of accomplishment). 8. 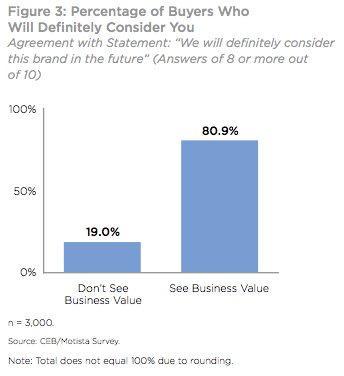 Suppliers use emotion to catch buyers’ attention early on, but they switch to rational, business value-oriented messages in the nurturing phases. Marketers should use emotional, personal value messaging throughout, not just at the start and end. 10. 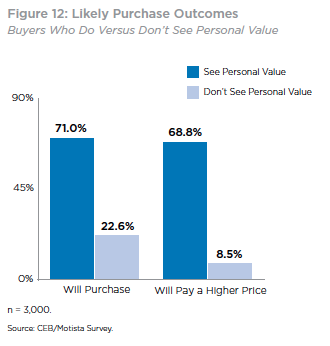 Personalization is powerful: To maximize the impact of Commercial Insight, suppliers should also highlight the personal needs of all stakeholders involved. Most marketing departments are inclined to think of other businesses as rational, logical and hamstrung on business value. While they are to some extent, the truth is that within those organizations there are people and they are just as likely, if not more likely, to be influenced by emotion. And the quicker we realize that, the quicker the funnel fills up.